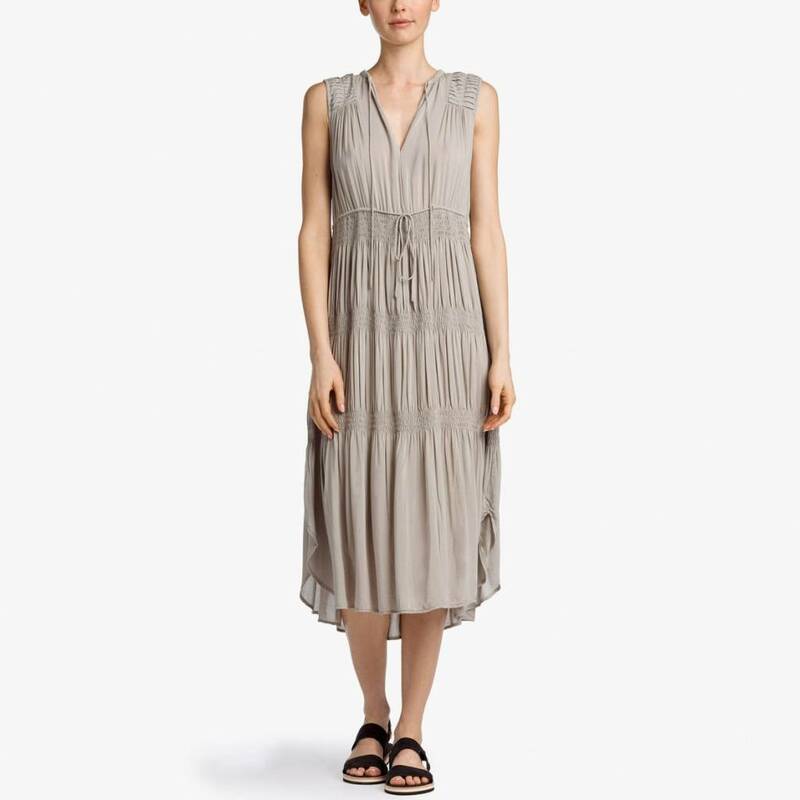 Pleated chiffon dress. Open crew neckline with drawcord. Deep V-neck opening. Shirring at center back neck. Accordion pleat details along arm openings. Drawcord at waist. 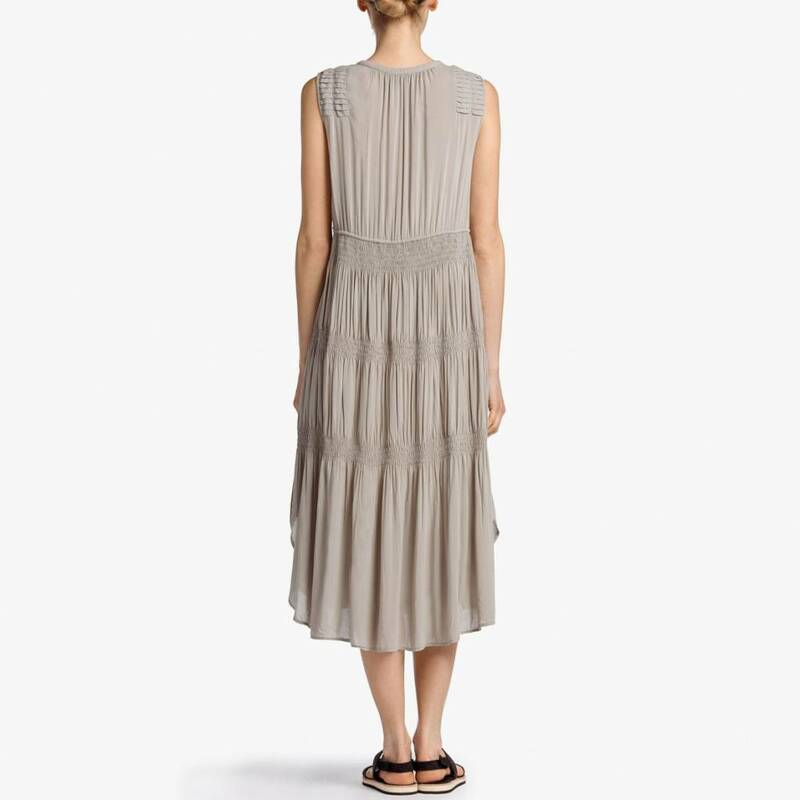 Horizontal elastic shirring details along the bottom of dress gathers the fabric for a feminine look and feel. Clean finished curved bottom hem with exaggerated side vents. Cami-style slip in viscose chiffon comes with the dress for added comfort and coverage.